It’s entered into a JV with a mid-tier gold producer – the $218M market capped Resolute Mining Ltd – to help develop three of TAR’s Cote d’Ivoire gold mining concessions. Resolute has also agreed to spend a minimum of US$500k on TAR’s ground. This is excellent news for TAR – currently capped at around $2M it will mean their much deeper pocketed partner will greatly assist with the exploration dollars required to investigate these concessions fully. Resolute have obviously seen a few things they like here, and want to get cracking immediately with geological mapping and geochemical sampling planned. TAR’s suite of projects across West Africa do feature some political risk – finding something in the ground does not always mean you can get it out, mainly due to social, political and economic issues the region faces. Tenure security, as well as graft and corruption can also play a part in hindering West African projects from advancing. There are many multi-million ounce gold mines in the region TAR are exploring, so it’s not impossible to progress with projects, however TAR does remain a speculative investment. The good news on the JV in Cote d’Ivoire follows the drill results TAR have received from the field in Mali. Notably, Resolute’s giant 7 million ounce Syama mine is just 15km up the road from TAR’s flagship Nangalasso Project in Mali. Very little modern exploration techniques have been applied at Nangalasso, until TAR came along... what else might they uncover? Meanwhile, TAR has also identified some promising mineralisation at its SLAM Project to the north of Nangalasso. 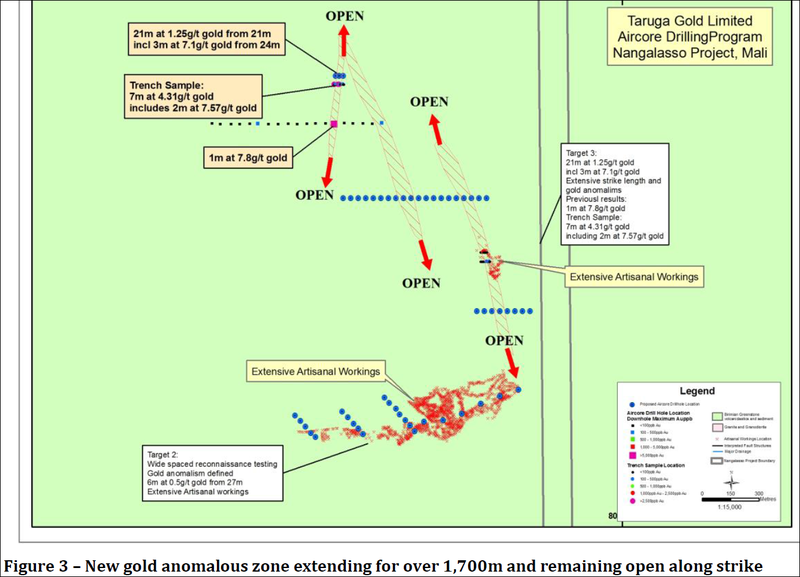 TAR has struck high-grade gold intersections, confirming a 150m wide by 700m gold zone open along strike. The drilling on both projects continues to define mineralised zones of interest, and plans are being drawn up right now to get drilling again. We like that TAR’s tiny market cap offers significant leverage to any discovery hole. 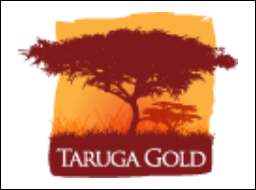 With a tiny market cap of around $2M and a focus on gold in West Africa, Taruga Gold (ASX:TAR) is a relatively new addition to The Next Small Cap’s investment portfolio – first covered by us in November 2014 with Infant ASX Explorer Drilling in Days: Targeting Giant Gold Systems in Elephant Country . Niger – TAR has the Kossa Project here covering 970km2 with a 1km strike zone developed so far, and is adjacent to IAMGOLD’s 5Moz Essakine mine. 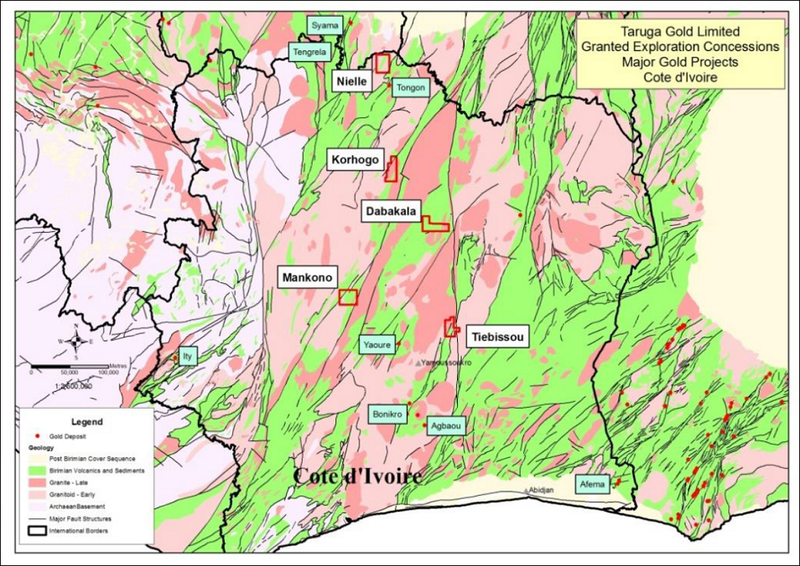 Cote d’Ivoire – In addition to the three mining concessions that will form part of the JV with Resolute, TAR has four 100% owned exploration licenses and has already worked up numerous high priority drilling targets – geochemical sampling is underway. 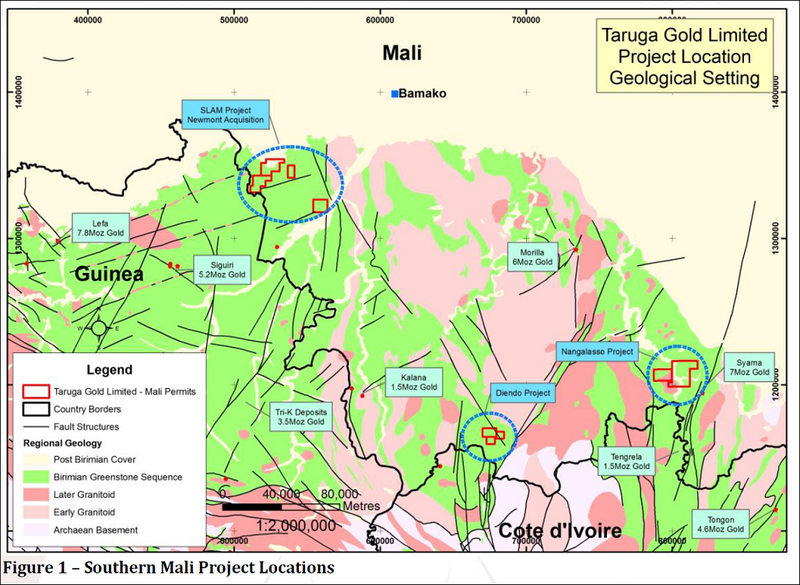 Mali – The key projects for TAR in West Africa right now are the Nangalasso and SLAM Projects in Mali, where drill results have been released on both. 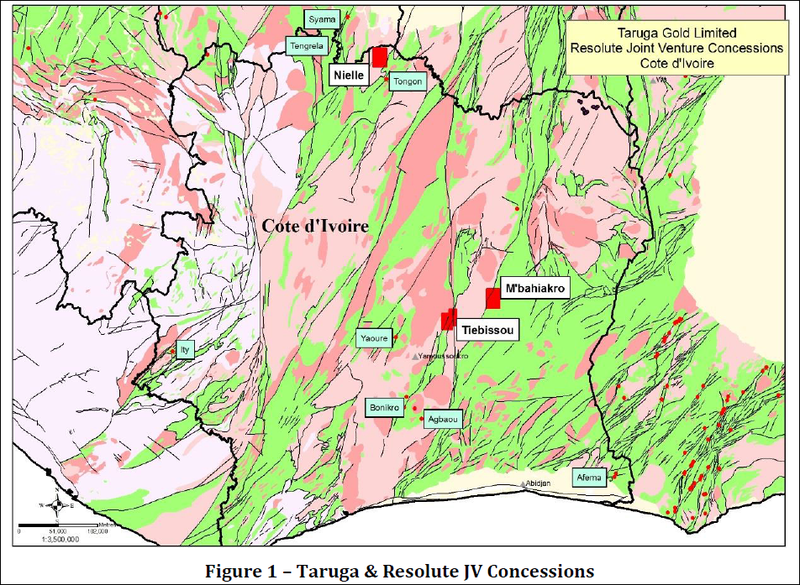 TAR’s main plan in Cote d’Ivoire is to explore four exploration license areas (three 100% granted, one in application), considered highly prospective for large gold deposits. 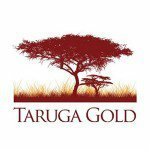 TAR has delineated a large, coherent gold anomaly at its Dabakala project in Cote d’Ivoire. Recent geochemical sampling at Dabakala outlined a very large, coherent gold anomaly that requires infill sampling. TAR is pressing to advance to drilling as soon as possible. TAR also has three mining concessions in Cote d’Ivoire known as Nielle, Tiebissou and M’Baihaikro. In a just announced JV deal , Resolute will have the ability to earn up to a 75% interest in these TAR owned concessions, committing to expenditure of US$3M for their exploration and development within four years. TAR will maintain 100% shareholding until Resolute has spent the US$3M, and TAR will be free-carried through any Feasibility Studies that are made on each of the three concessions. If the projects advance to a Decision to Mine, TAR can choose to contribute to the project, dilute its share or sell it at the market price. Not a bad deal for TAR! Resolute will commence exploration immediately, with geological mapping and geochemical sampling set for the Nielle and Tiebissou concessions. These were key reasons for sparking TAR’s interest in the area, and when it acquired the Nangalasso Project in 2013 it did some trench sampling that showed 7m at 4.3g/t gold in quartz veining and alteration located 200m north of previous drilling. TAR also undertook field reconnaissance that highlighted an area of 1,000m x 700m covered in artisan workings, returning assays with grades of up to 18.0g/t, 3.6g/t and 3.54g/t gold – an anomalous gold trend definitely worth investigating further, along with several geological structures. Seventy-three holes were drilled across the project area for a total of 3,564m with an average depth of 49m targeting four main areas. 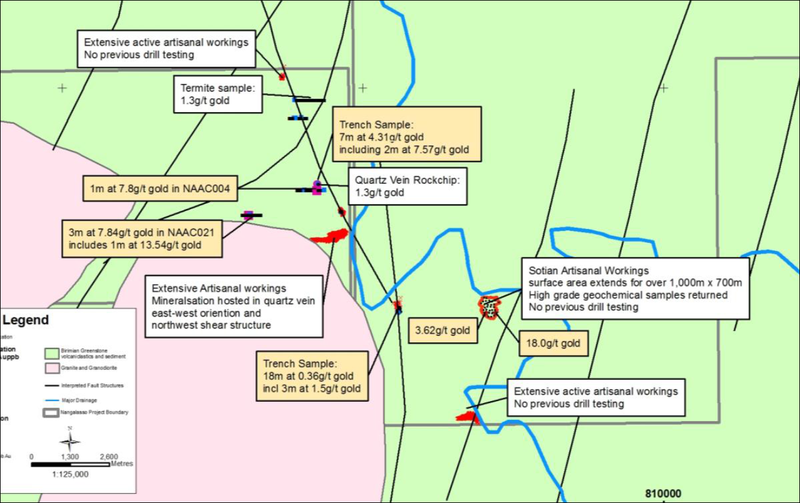 Widespread gold anomalism was found across the Nangalasso Project – over 25% of the holes TAR drilled returned anomalous intersections. At the top of the picture above you can see the 7m at 4.3g/t trench sample, second box from the top left – and then from there TAR hit further gold, which appears opens to the north and south. Meanwhile at the SLAM Project in Mali, TAR has recently been drilling its Kambali Prospect. 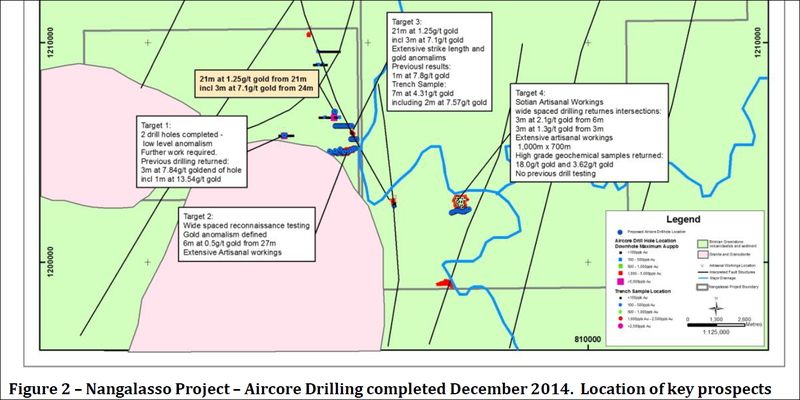 Results of reconnaissance air core drilling have identified a new gold anomalous zone, over 150m wide and 700m long. This zone remains open at strike, so there might be more to come from this prospect. This project features a number of artisanal workings, and locations of some drill holes had to be moved to accommodate these sites. Consequently the drill program was conducted with very wide spacing. Targeted follow up drilling is on the agenda soon. All the prospects drilled by TAR in Mali warrant immediate follow up. We now expect to see target selection for follow up drill programmes in the near term. So very soon, we could see TAR opening up new drilling programmes and selecting targets right across its African plays, especially in Cote d’Ivoire where it’s JV with the $218M Resolute will see three concessions explored immediately. We’ll be keeping an eye out on TAR’s progress!